Compassion & Choices has sent out a press release suggesting that they are not like the Final Exit Network. The fact is that these two organizations are more alike than different. First: Ted Goodwin, the former president (resigned Feb 23, 2009) of the Final Exit Network became the Vice-President of the World Federation of Right to Die Societies at their bi-annual conference in Paris in 2008. 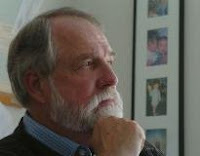 Goodwin is scheduled to become the President of the World Federation of Right to Die Societies at their conference in 2010. Compassion & Choices is a member of the World Federation of Right to Die Societies. Second: Derek Humphrey founded the Final Exit Network and the Hemlock Society. Hemlock Society was one of the large groups that amalgamated to form Compassion & Choices. Third: Compassion & Choices has its own suicide support service called the: Client Support Program. The Client Support Program has the same aims as the Final Exit Network. I attended the World Federation of Right to Die Societies bi-annual Conference in Toronto (Sept 2006). The Final Exit Network also claims to be providing "Aid in Dying" which is a euphemism for assisted suicide, and like the Client Support Program, they claim to only act in support of a suicide and not actually assist the suicide. It is interesting that Goodwin allegedly showed an investigator how he holds the hands of the client, making it impossible for the client to remove the "Exit Bag". This is the same Goodwin who is a mainstream leader of the World Federation of Right to Die Societies. The Final Exit Network and the Compassion & Choices Client Support Program have the same purpose and are designed to do the same thing. Compassion & Choices is an organization directed to the education of America on the moral right for proplr with terminal illness to Die with Dignity. The State of Washington voters cast a majority vote for its Death With Dignity Law. Montana's supreme court upheld the moral right to die with dignity for its residents. California enacted the terminal patients Right to Know End-ofLife Optins. In Octoper the Ameican Public Health Association in support of the long established Right to Die Statytes. American College of Legal Medicine adopted a similar policy that same month. Compasion and Aid for the terminally ill WILL BE THE NATIONAL CONSENSUS in this decade. If assisted suicide becomes the consensus position in North America in this decade, then people with disabilities and other vulnerable people, including people who experience depression need to be very concerned. The way the Oregon law, the Washington law, the no-safeguards in Montana, etc are developed are a recipe for elder abuse. The people who have the most to gain by the death are the ones who are directly involved with the decisions. Further, the right to die will become a duty to die for the more vulnerable. Many people will fear going to a doctor when they need medical care. Finally, can you truly trust every physician. I can't. Now you want to give them the power to take your life? Our society needs to care for people not kill them.